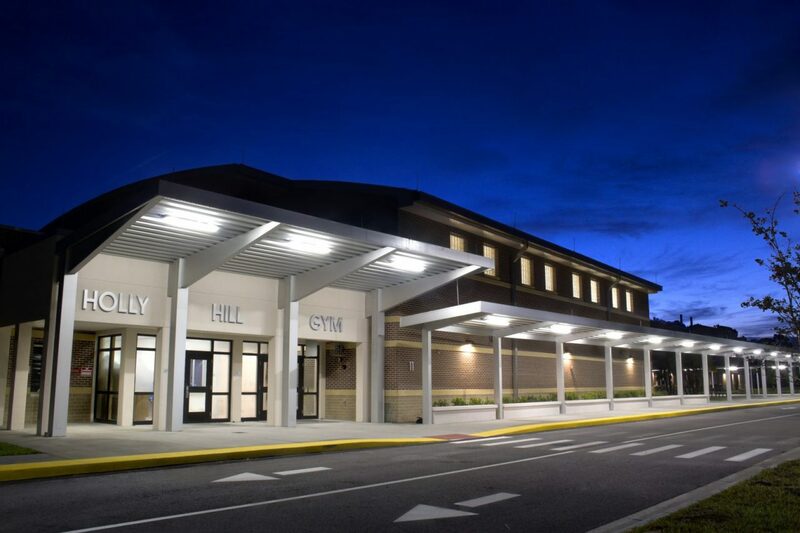 Holly Hill K-8 School | Wharton Smith, Inc. 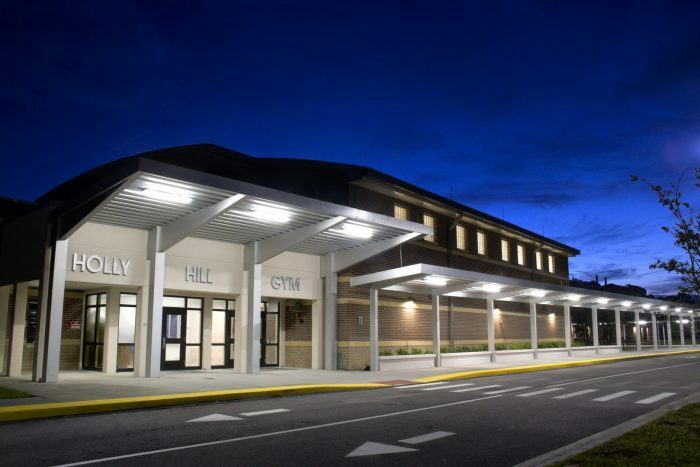 Going for Gold – Sustainable design and construction was a primary driver of the Holly Hill K-8 School conversion. 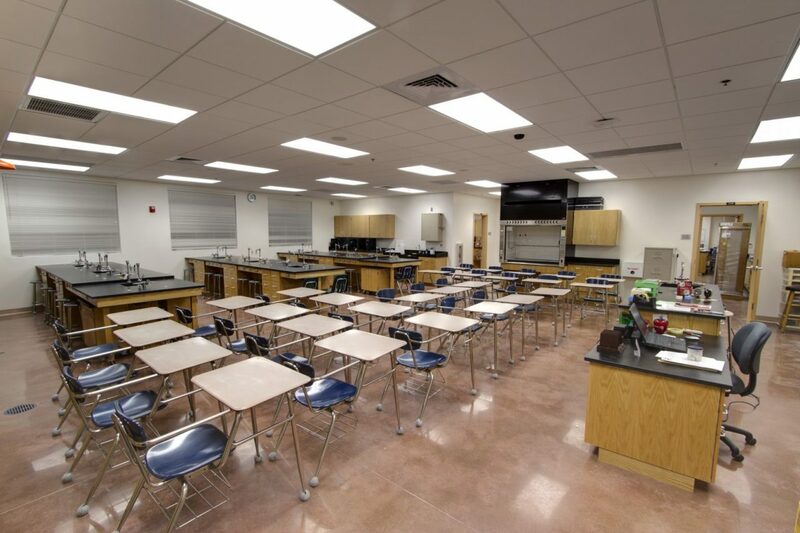 The project added 54,000 square feet of new construction including a new two-story classroom building (15 classrooms, four labs and an art room), a new gymnasium, and a music building, as well as renovating the existing cafeteria, food service areas, and outdoor dining. 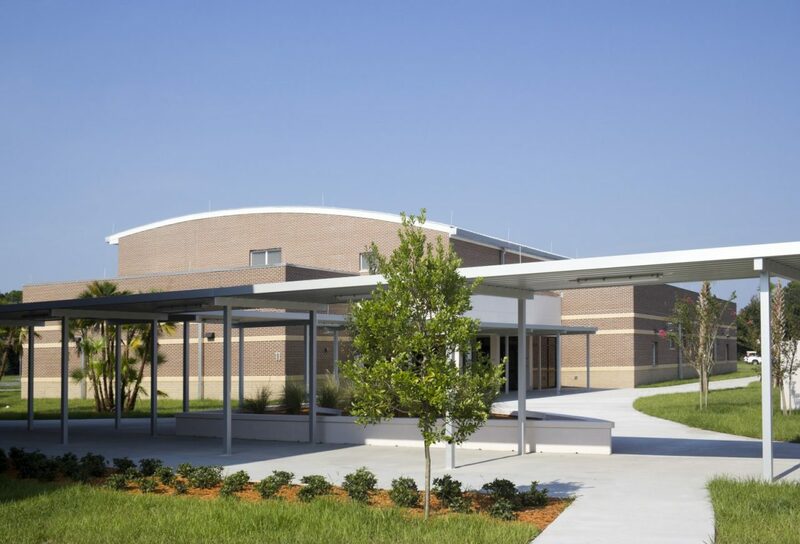 The project achieved LEED Gold certification through sustainable strategies such as reduced energy costs through high efficiency HVAC equipment, reclaimed water, water conservation, daylighting, enhanced envelope and thermal barrier, indoor air quality, educational signage, green cleaning, and using the school as a teaching tool. 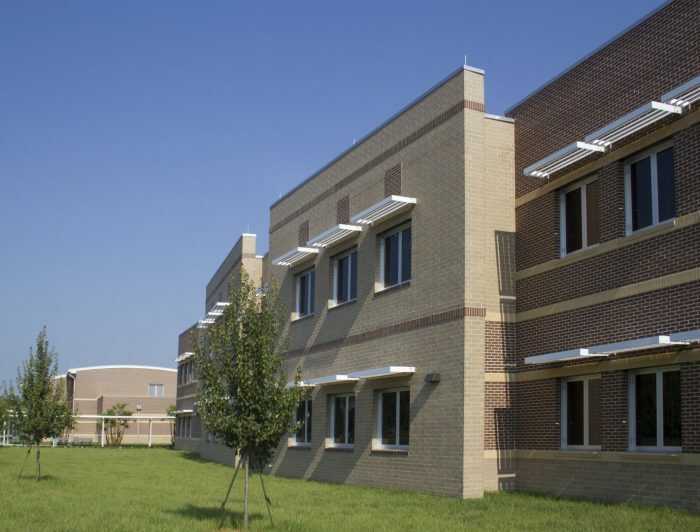 Value engineering strategies and an ‘outside-the-box’ implementation allowed for more than $332,000 to be returned to Volusia County Schools for use on other projects.